As a consequence of recent increased awareness of the social and political dimensions of climate, many non-specialists discover a need for information about the variety of available climate models. A Climate Modelling Primer, Fourth Edition is designed to explain the basis and mechanisms of all types of current physically-based climate models. A thoroughly revised and updated edition, this book will assist the reader in understanding the complexities and applicabilities of today’s wide range of climate models. Topics covered include the latest techniques for modelling the coupled biosphere-ocean-atmosphere system, information on current practical aspects of climate modelling and ways to evaluate and exploit the results, discussion of Earth System Models of Intermediate Complexity (EMICs), and interactive exercises based on Energy Balance Model (EBM) and the Daisyworld model. Source codes and results from a range of model types allows readers to make their own climate simulations and to view the results of the latest high resolution models. 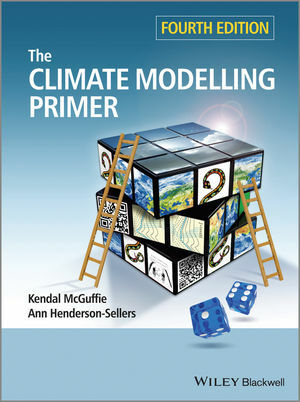 Now in full colour throughout and with the addition of cartoons to enhance student understanding the new edition of this successful textbook enables the student to tackle the difficult subject of climate modeling.